For eight consecutive years, the Public Relations division of AGEXPORT, through its Communications department, has organized a training program for businessmen and women called “Business Leadership Program”. This Program seeks to provide tools for all business leaders to be effective ambassadors of the exporting sector on different forums and with different audiences. 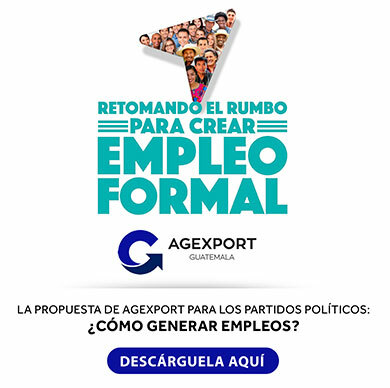 On this occasion, 29 business leaders of the manufacturing and agriculture industries participated and became part of AGEXPORT ‘s eight promotions of business leaders, said Mrs. Marlene Martinez, Communications Manager in AGEXPORT. Leaders received a total of 24 hours of training, distributed along its six weeks of duration. Topics covered on the program include: AGEXPORT’s role in boosting Guatemalan exports, leadership models, digital communication and leadership, business innovation, among others. This 2018 edition of the “Business Leadership Program” was supported and funded by the Al-Invest 5.0 program of the European Union.